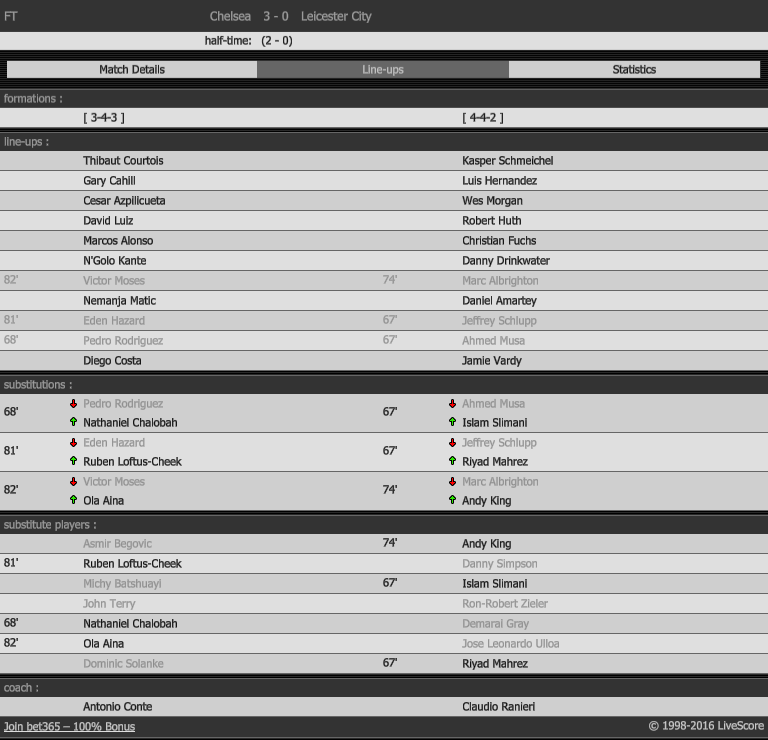 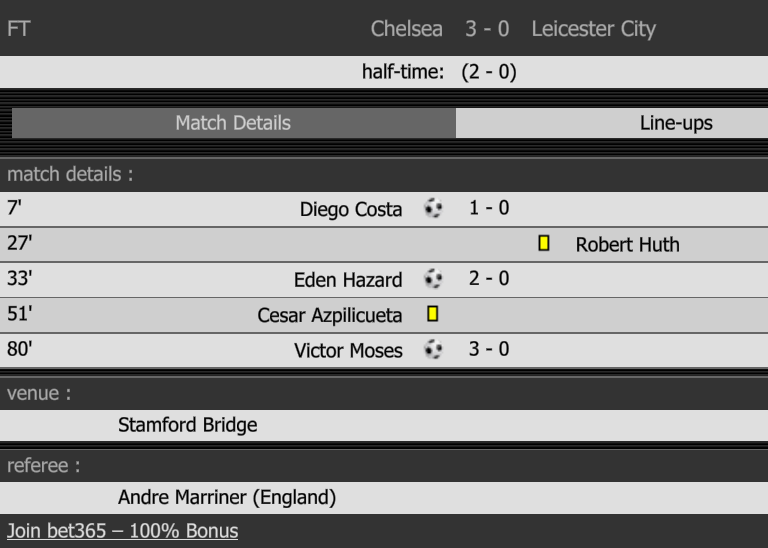 Chelsea VS Leicester city 3-0. 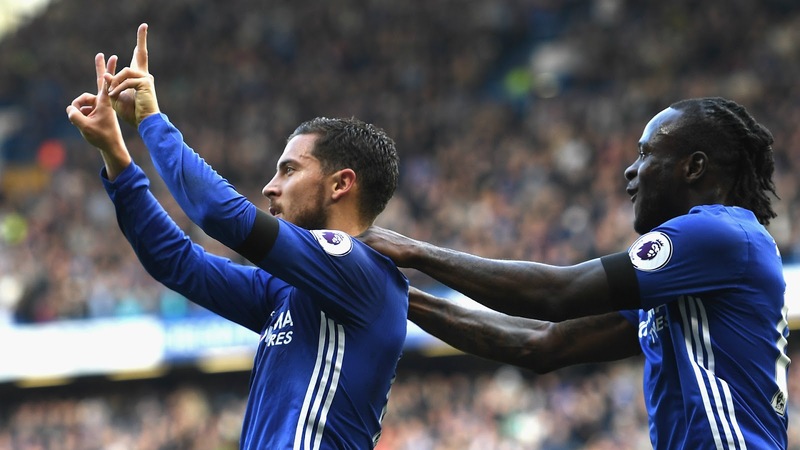 Diego Costa and Eden Hazard both got on the scoresheet as Chelsea secured a 3-0 win over Leicester City in the Premier League on Saturday. 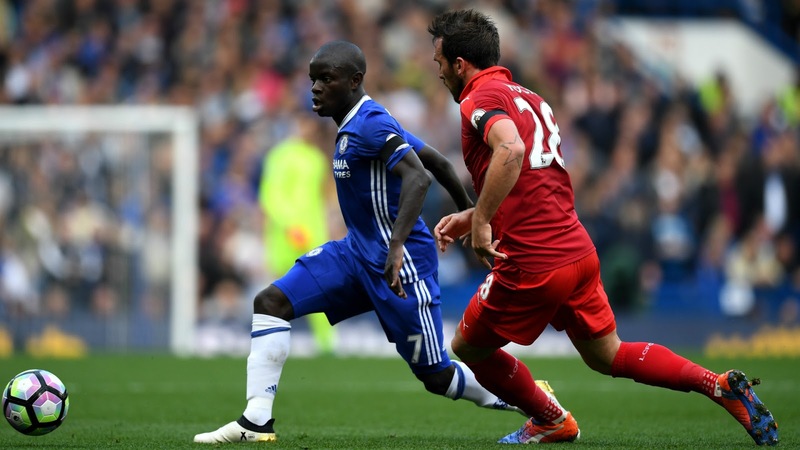 Costa opened the scoring after just seven minutes as he tapped home from close range when found unmarked from a corner. The Blues soon doubled their advantage as Hazard profited from some woeful defending from Leicester before slotting past Kasper Schmeichel and Victor Moses played a delightful one-two with Nathaniel Chalobah late on before finding the back of the net to wrap up the three points for Antonio Conte's men.